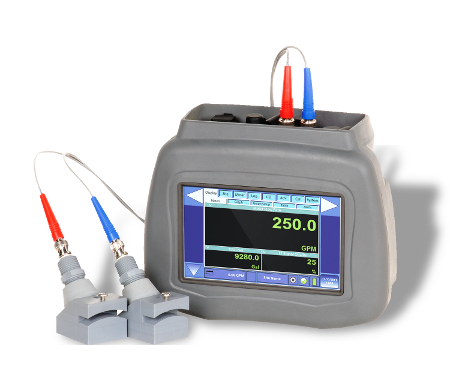 The DXN can measure the flow of pure liquids as well as liquids with entrained solids or aeration. The transmitter will switch between transit time and Doppler measurements on the fly based on the condition of the media inside the pipe. At Derex, Inc. our entire rental fleet consists of DXN flowmeters. Our rental units experience a wide variety of applications and conditions and the DXN has proven itself to be reliable, rugged, accurate and maintenance-free. This unit can measure: Flow Rate, Temperature in Liquid. Ultrasonic flowmeters are able to measure a wide variety of industrialgases and superheated steam independent of temperature, density andpressure influences. 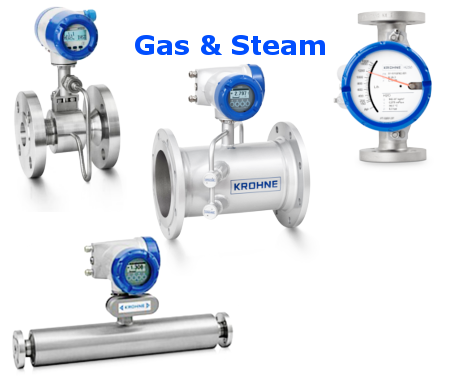 Krohne has been the leading manufacturer of Ultrasonic flowmeters and world leader for in-line measurement devices for more than 25 years. The meters can be used in bi-directional metering with great accuracy and long-term stability. They can also be used in a wide range of pressures and temperatures. These units can measure: Flow Rate, Mass Flow in Steam, Gas. Since 1943 DFT® Inc. has manufactured world class, problem solving, inline, axial flow, nozzle style silent check valves and severe service control valves. 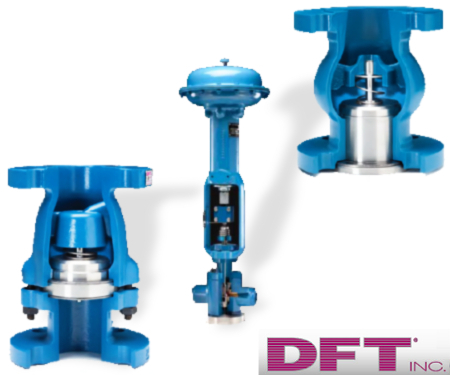 DFT® silent check valves are known around the world as the valve to use to prevent or eliminate water hammer problems. We specialize in providing in-line check valves that meet customer requirements as opposed to simply meeting line size. In some cases, minor modifications to our valves have solved customer problems by improving performance and extending service life. 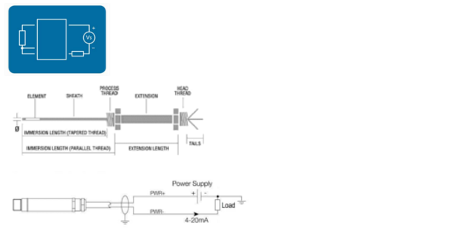 These units can control flow for Liquid, Steam or Gas. 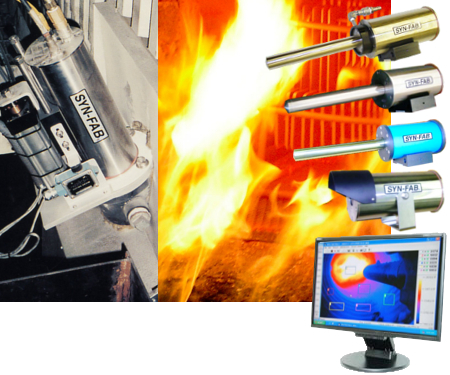 SYN-FAB® has specialized in the design, manufacture, sales and service of high temperature and industrial CCTV and imaging systems since 1974. These units can monitor Temperature. REF TEK was founded in 1975 to produce quality products for the land, marine and oil exploration markets. "If it moves, shakes, slides, shifts, or changes, we have the solution to monitor it." 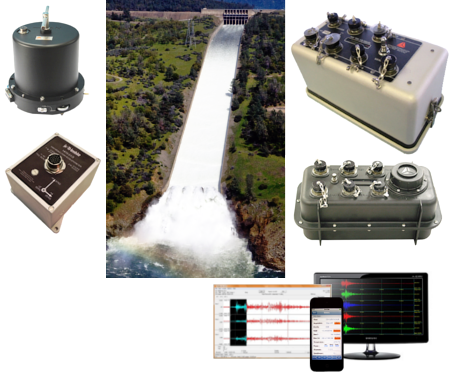 Ref Tek and Trimble Monitoring Solutions offer a combined portfolio of market-leading high resolution seismic recorders and sensors, application software and integrated tools for scientific research and monitoring applications. Our robust solutions improve safety decisions, ensure structural integrity and future-proof your investment. These units measure ground and structural movement. 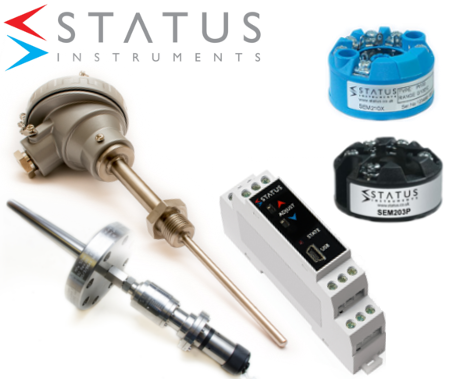 Status Instruments Ltd. was founded in 1982 and has been designing and manufacturing products for the process industry over the last 3 decades. Temperature Transmitter range can be set by pushing a button at the low and high end of temperature scale to output 4mA at the low end and 20 mA at the high end. No need to connect the product to a computer to carry out this function. Specify custom probe parameters to meet your application. Infrared and wireless technologies available. These units measure: Temperature, Humidity. 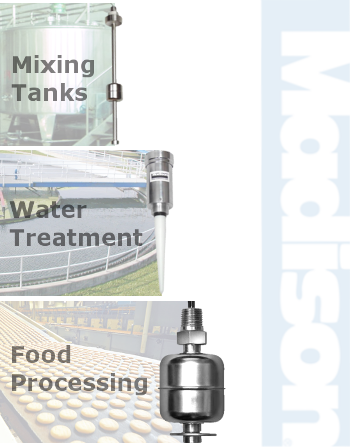 Madison Company has been providing liquid level sensors since 1959. Madison sensor products such as float switches, ultrasonic, radar and conductivity sensors are compatible with most liquid media and even some solids. Madison can craft custom sensors to meet the needs of unusual applications. Madison's sensor products are approved the American Bureau of Shipbuilding (ABS) and the USCG for use in commercial shipboard applications. DXN Kits include hardware, cables and cases. We have 2 units available at this price (each.) Both units come with current annual calibration certificates. These meters have long service lives and are actively supported by the manufacturer. Excess rental meters are retired annually to make room for new models. These units are in good condition with minor cosmetic blemishes from use. Button Loggers are the size of a watch battery and can record up to 8000 temperature / humidity data points per session. Calibrated Units are also available. Starter kits with either two or five loggers, the USB interface lead and a single computer licence of the TempIT-PRO software are available. These units can measure: Temperature, Relative Humidity. Kunkle valves are available for ASME Sections I, IV, and VIII services. Kunkle safety and pressure relief valves are set and tested in accordance with the API 527 standard for seat tightness of pressure relief valves. 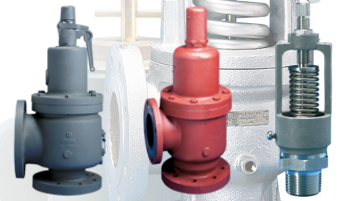 Kunkle Valve has long been a top manufacturer of safety and relief valves and valve products for a wide variety of commercial and industrial applications. These units relieve pressure for Liquid, Gas or Steam. BriskHeat manufactures flexible surface heating elements, controls and accessories for applications in petrochemical, semiconductor, food processing, biotech, aviation, steel, laboratory, power generation and many other industries. 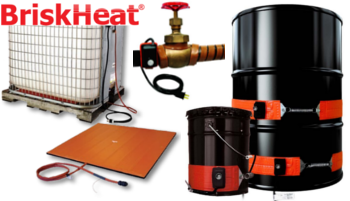 Viscosity control, condensation prevention, process heat, and freeze protection has allowed BriskHeat to become the world-wide leader in flexible surface heat and heat trace applications for piping, vessels, pumps, valves, and other objects.